In this 6 week course students will begin to connect with their breath and build awareness of their body while learning the basic principals of yoga poses. Each class will build upon the next—building a foundation to the start of one’s yoga journey. This class is also good for the student who has been away from yoga for a while and wants to refresh their practice. If you are someone who thinks you can not do yoga, this class is for you. One of Erin’s specialties is helping the so called “non-mover” to realize their potential as a mover. 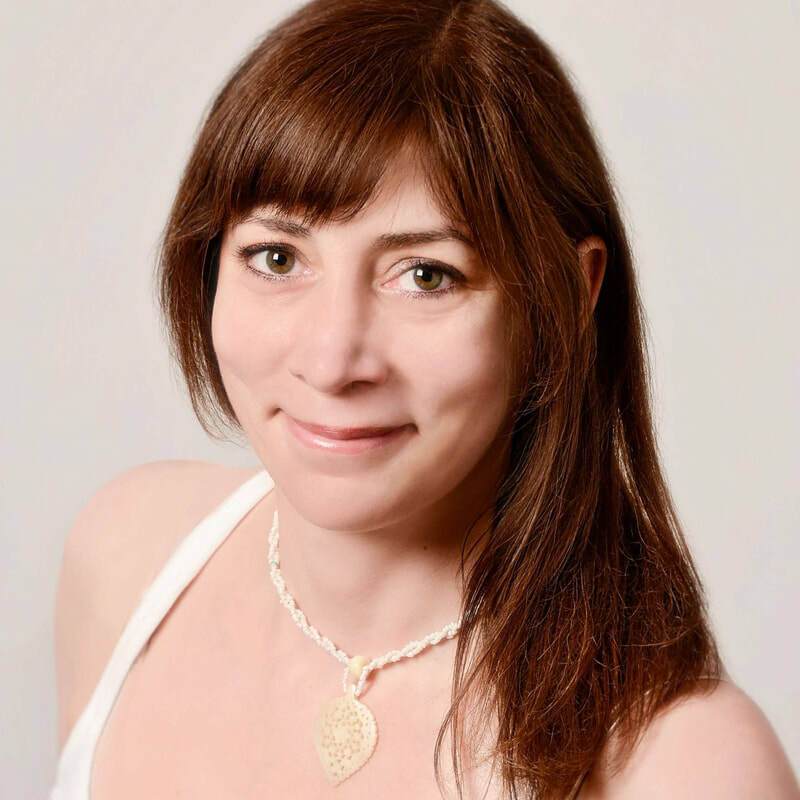 As a Yoga Therapist and Adaptive Physical Educator, Erin is very skilled at helping people tailor fit movement to work for their own body and specific needs. Erin has a BFA in Dance and Theatre and has been teaching movement arts for over 20 years. Erin received her 200 yoga teacher training from Midtown Yoga in 2008 and her 500 hour yoga and yoga therapy training through the Yoga Center of Jackson in 2013. Erin is a C-IAYT certified yoga therapist and enjoys helping people find balance and comfort in their own body. Erin has been a student of Iyengar yoga since 2004 and is grateful to her primary teacher Lou Hoyt for her dedicated and truthful teaching. Along with weekly classes Erin has also taken teacher trainings with Lou, finding it important to continually hone her skill as a teacher. Erin has also studied and taken workshops with Cris Coniaris, Jennifer Brilliant, Brenna Geehan, Jim Bennitt, Rod Striker, Pennzt Dubble, Edwin Bryant, Julie Gudmestad, Randy Just, and Manouso Manos. The meeting with yourself that occurs in the painting process is meditation in action. No prior experience required. All materials provided. Each month Daniel invites people to come together to meditate, to discuss mindfulness & spirituality and to learn more about themselves through this practice. This gathering is open to the general public and all levels of students. Beginners welcome. No particular practice is required. Meditations are about 20-30 minutes long. A love offering is all that is asked to cover room rental. Join Ann for an informative talk and introduction to Healing Touch. Stay after class to experience a complementary mini Healing Touch session. During this workshop we will paint using the techniques of process art by tuning in and allowing a mystery to unfold on the canvas. ​The blank canvas often reveals inner feelings such as discouragement, frustration, feeling less than or unskilled. Likewise creating can also be experienced as joy, delight, and peace. Feelings emerge during the process because they exist within us and are repressed in our energy field and subconscious. Everything we’ve pushed down, because we didn’t want to say or feel it, is held within our bodies and affects our wellbeing. We will work with the repressions that we discover along the way using the Dalian Method — releasing the heavier emotions and blockages to expand the lighter ones and discover how personal transformation impacts our canvas. As we clear burdensome thoughts and emotions, we come closer to our hearts. The workshop begins Friday night with painting and continues Saturday morning with the Dalian Method and then returns to painting. There is value in staying in the painting process for a while as time allows us to let go and relax into ourselves. Release and Transform Repressed Anger, Sadness, Resentment, and Insecurity to Enhance Communication with the Heart. ​​All materials are provided and no experience with painting or the Dalian Method is required. No artistic ability beyond stick figures necessary. Want to learn about essential oils? Here's what to expect from this class. Find out what to use to replace toxic cleaning supplies. Discover how to introduce these oils in your home, on your budget, and based on the needs of your family. Lauren O’Hara was born in Memphis and was the owner of Lost in Paradise Boutique for 8 years. She now lives to Santa Rosa Beach, Fl with her husband. After a breast cancer diagnosis, she began to focus on her health and learn as much as she could about holistic approaches to healing. It was her personal experience with oils that led her to want to educate others about them. This workshop focuses on the breath, supported poses, & gentle somatic movements. Live music, vibrational sound, & healing touch will sustain & deepen your experience. Anne’s Luminous Lemon-Ginger Tisane served after! Ready to paint, create a collage, mandala or gemstone chakra bracelet? ​We have all the supplies you'll need—beads, clasps, paints, mandalas, markers, caran d'ache crayons, collage materials, canvases and more. Weekdays | 1:30 PM - 4:00 PM | Cost $135, Early Bird Price $110. Join us this summer as we express creativity through art, practice culinary skills by preparing healthy snacks, and strengthen our mind body and spirit during play, STEM, energy work, yoga & mindfulness. At the end of the week parents will be invited to participate in a short yoga practice and view the students art on display. 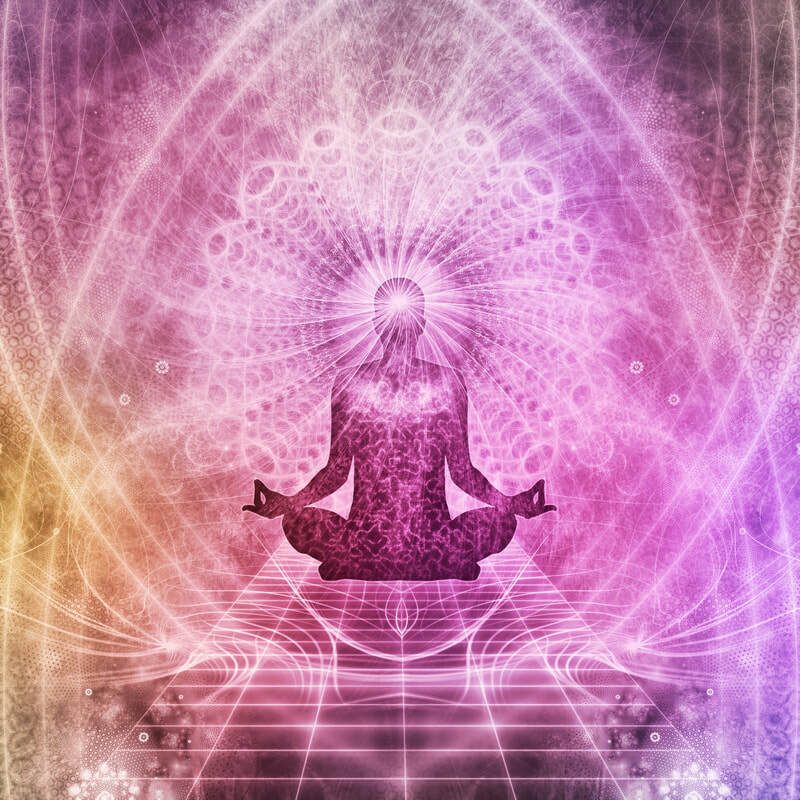 Active meditation incorporates dance, movement, breath, expression, and the chakra system. Meditations are one hour long with active portions compromising most of the time. The silent sitting or lying down portions are 15 - 30 minutes in length. On April 8 the class will only meet for 1 hour.